The bullet list used in backend does not show up in frontend. I would not mind using this special formatting. 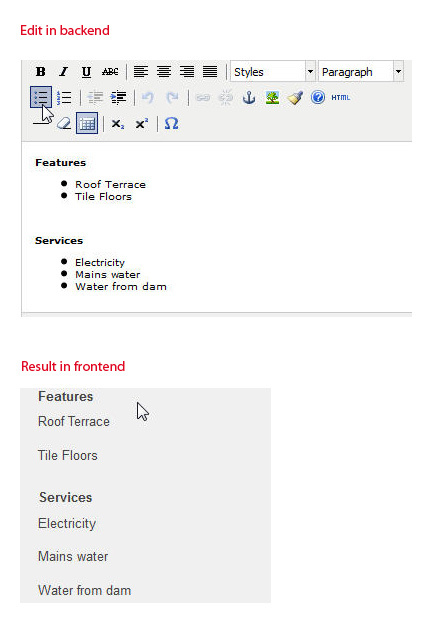 Full layout - how and what you see on site - depend from yours site Template.